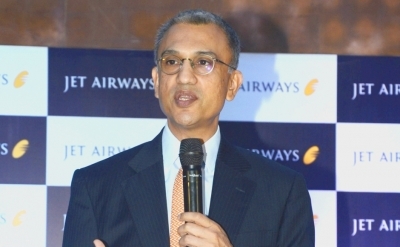 Mumbai, April 15 (IANS) Jet Airways' troubles don't seem to getting over anytime soon. With no funds coming from lenders, the beleaguered airline has extended suspension of its international operations till April 18. "The interim funding has not been forthcoming thus far, and as a result we have extended cancellation of international operations through Thursday," said CEO Vinay Dube in a letter on Monday to Jet's over 20,000 employees. On Friday, the airline cancelled international operations for April 12 to 15. On Sunday, it extended cancellation of West-bound flights -- to and from Amsterdam, London and Paris -- until April 16.